Pixar Pier at Disney’s California Adventure has officially opened, and features tons of great new spins on attractions that have been at the park, plus a few new ones. There’s also a ton of new food options, as well as great character meet and greets. However, the last piece of the puzzle won’t click into place until 2019, and it’s going to be…emotional. 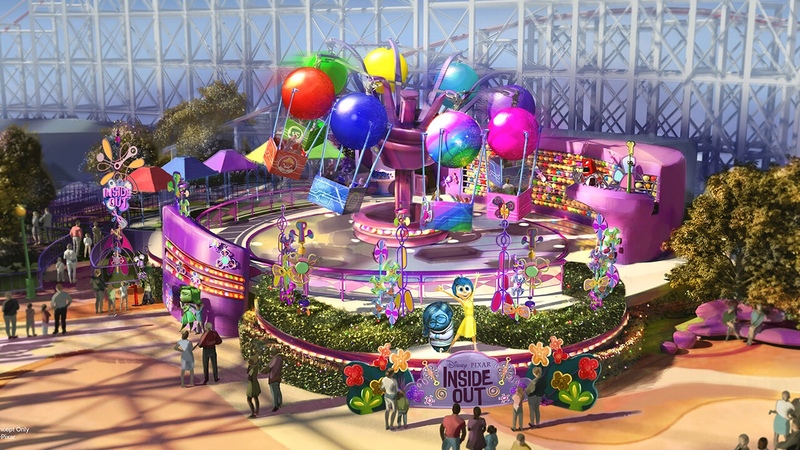 The Inside Out Emotional Whirlwind is a family flat spinning ride that will take guests on a fun ride at Pixar’s Inside Out Headquarters. 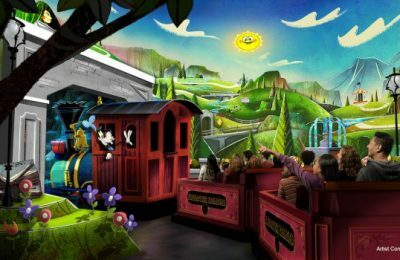 The new ride will also join Jessie’s Critter Carousel in 2019, which will open in the Toy Story Boardwalk. There are four neighborhoods total-Inside Out Headquarters, Toy Story Boardwalk, Pixar Promenade and Incredibles Park. Each neighborhood seems to have a major attraction and smaller attractions in the area. Incredibles Park features the Incredicoaster. tay tuned for more from Disneyland! Be sure to get social with us on Facebook and follow along with us on Twitter @BehindThrills for the latest updates!